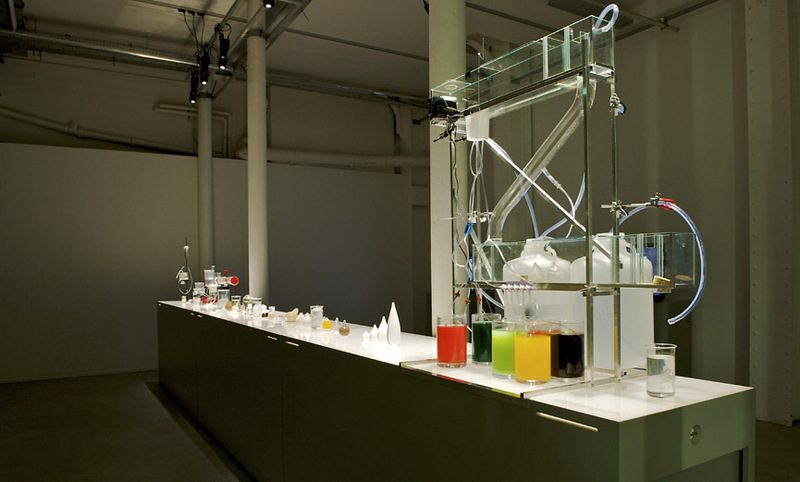 From 24 September 2010 to 30 January 2011, Le Laboratoire* is running an original experimental exhibition on the theme of water, and in particular, the transport of water; the exhibition looks at how this could be made environmentally reliable and more natural. To probe these questions, French designer François Azambourg and American scientist Don E. Ingber brought together a panel of researchers, with the assignment of coming up with a prototype container as close to nature as possible. The panel looked into the feasibility of transporting water via a system inspired by the biological cell, based on a suggestion made in the course of a number of lectures in Harvard University during the fall of 2008 by Professor David Edwards, the founder of Le Laboratoire. Originally perceived as rather utopian, it is now considered that this could actually be done by harnessing the expertise of experienced specialists. François Azambourg has since been developing this idea through new forms of cell design, and has been preparing the set for Le Laboratoire exhibition. As part of Le Laboratoire’s participative approach, he invited ENSCI students to actively participate in the project. The experiment is being developed in close collaboration with the scientist Donald Ingber, a cellular biochemistry specialist, and David Edwards, with input from the French researchers Raphaël Haumont and Sidi Bencherif, specialized in the physicochemical properties of materials. 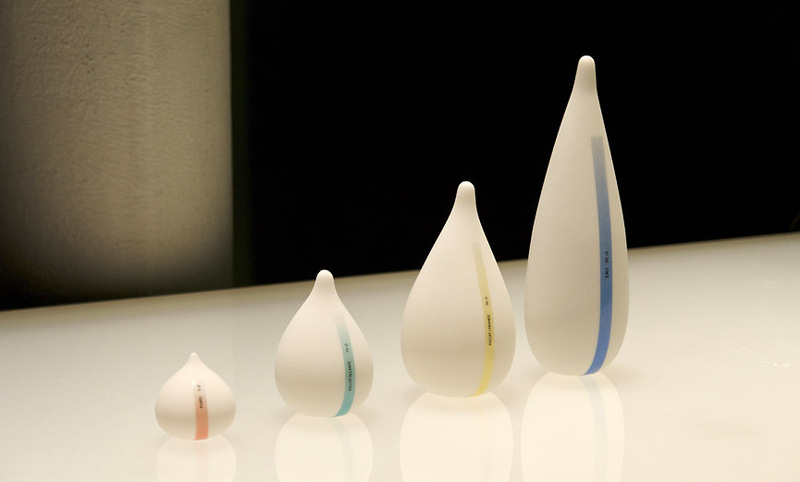 The Cellular Design exhibition will detail all the creative processes involved in the experiment. Reproducing the daily work environment of a research laboratory, the project has been designed with complete transparency in mind: from tests to successes, from prototypes to end products, including specimens and failures. François Azambourg has opted to remain as close as possible to the scientific truth. His staging of the experiment, at the frontiers of eco-design, meshes with the processes of nature itself. 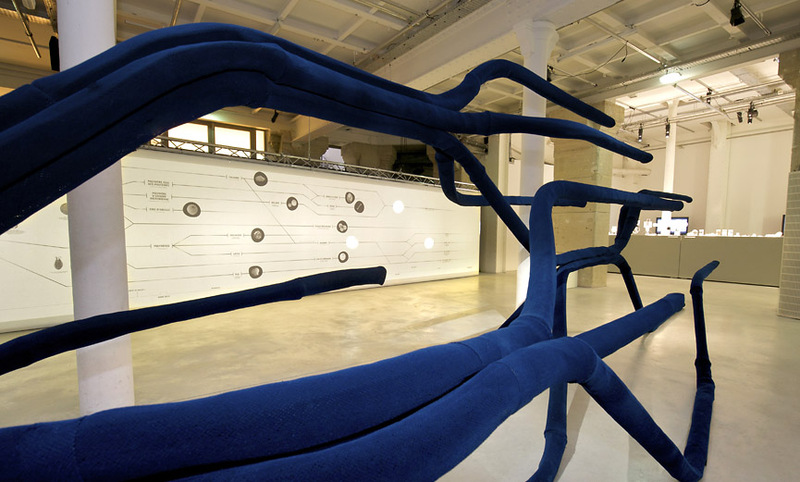 The original inspiration came in the form of a seaweed which gave the designer the idea of creating a tree-like sculpture depicting the various research paths. This illustrates the multiple arcs of initial reflection, some of which have been brought to fruition, with others yet to be thoroughly explored. By depicting the current state of research, Le Laboratoire is suggesting that investigations should be pursued, and highlights the idea that innovation is an ongoing process. In a nearby room, the new forms of container are on display, suggesting a designed water, transported by new forms closer to nature. A cellular design incorporating eco-environment and sustainable development. The Pumpkin is a beautiful way to carry water as Nature does, without harming the environment, while sustaining life, as we know it. With inspiration drawn from the biological cell, The Pumpkin helps you carry water in multiple ways, large and small volumes, filtering it if you wish. Nothing gets thrown away. With water becoming the world’s most precious and endangered resource, The Pumpkin is the ideal personal bag for the 21st century. The Pumpkin hangs from your shoulder, fixed to a convenient purse or handbag, holding just enough water to get you through the day. In circumstances of sport, as when you go hiking, The Pumpkin can fill up and sit on your head, or, like a rucksack, cling to your back. If you need to carry large quantities of water, as in hard work or relief conditions, The Pumpkin can transport up to 15 liters of water around your shoulders and neck. Since its first season, Le Laboratoire has maintained a special relationship with Africa. With this experiment several teams of researchers, students and desi- gners, working within the international network of ArtScience Labs, turn now to the problem of water transport and access in some of the most difficult human conditions of Africa. Several international teams have come together for this project, including four ArtS- cience Lab teams (from Le Laboratoire, the LaboGroup, The Lab at Harvard, and the ArtScience Prize), the University of Pretoria (with Professor Philip De Vaal and Japie Schoeman), and the South-African-based nonprofit Medicine in Need (MEND) (with Bernard Fourie chief scientific officer, and Noémie Tassel programs director). Taking once again inspiration from the biological cell, these teams are working with local populations to find more efficient and sustainable ways to deliver water in South African shantytowns, starting with the object now called The Pumpkin. Invited to finish the design of The Pumpkin, the French designer Mathieu Lehanneur has collaborated with David Edwards on an object that can carry large – and small – quantities of water, practically, and even so fashionably that it may be attractively used and carried in Paris, New York – or Johannesburg. The Pumpkin was presented to the public on September 24, 2010. A first version is available in Laboratoire’s prototype store, the LaboShop. This will mark the beginning of a three-year experiment focused in South Africa. The international teams, through the local oversight of MEND and the University of Pretoria will help local inhabitants imagine new ways of transporting water, inspired by the principles of The Pumpkin, but also by local ingenuity and initiative. The Pumpkin is imagined as a catalyst for local innovation around water transport. Over the three years of the experiment, LaboGroup and its partners will produce The Pumpkin for commercial sale in Paris and other parts of the developed world, with profits directed toward the charitable cause, and continuation of this experi- ment aimed at improving access to water in some of the harshest conditions encountered today. Labs are places of experience. We enter to explore. Each minute in a functioning lab is like a page of a smart novel that loses meaning without reference to what came before and is about to follow. Art, like science, is such an experience, and, yet, we encounter art and science in our museums more frequently as outcome, as product – dug up, carved down, highly edited – that follows a mysterious process of creative thought and engagement. Process, of course, is hard to define, to classify or to curate. It can seem beside the point. Sometimes, however, it is not. Occasionally, processes of exploration, discovery and innovation matter more than any result these processes ever produce. This seems increasingly the case in culture as in industry and society generally speaking. The pace of change in the “post-Google world” imparts transience to works of art, industry, research and social enterprise to the degree that results or products, as in the canonical research lab, appear mere points along a long and intriguingly winding curve. This curve, the engaging drama, has replaced the dots that make up the curve, the words and the clever sentences, as the predominant reference of value, and anything discrete and definitive seems increasingly suspect. What is this creative process? As I argue elsewhere, idea development in culture, industry, education and society can be conceived as a kind of experimentation, where the catalyst for change, for movement – for innovation – is a fusion of those creative processes we conventionally think of as art and as science. This fused process, what I call ‘artscience,’ is the basis of a new kind of culture center we have opened in central Paris.